I know Halloween hasn’t even arrived yet and I am already thinking about Christmas. To me, it is never too early to be thinking of great gift ideas. With the holidays approaching rather quickly, I thought it might be fun to share What’s in my Toolbox. I love when my husband buys me new tools to add to my toolbox. Last year for Christmas, he bought me a new portable workbench and some tools and I felt like the luckiest girl ever! 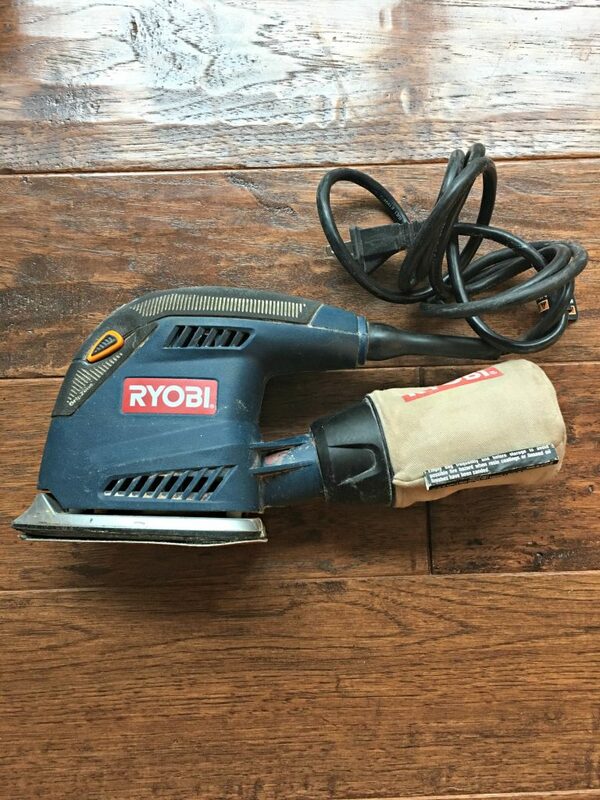 I think I will start with my all time favorite tool, a true renovators’ essential. This tool has made so many projects around our home much easier and less time-consuming. I like that it is cordless which takes the hassle out of maneuvering a cord around with you. We have used it to install our wainscoting, the IKEA Billy Bookcase, and my Ikea Pax Wardrobe. 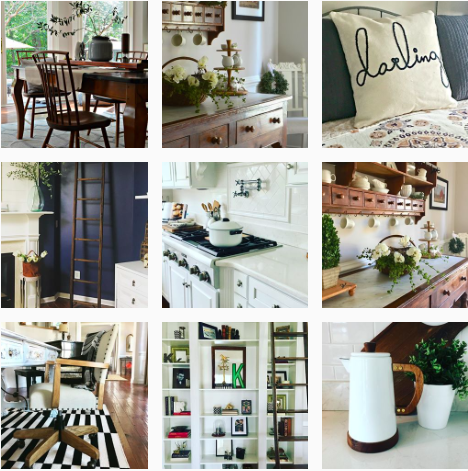 I also used it to build my shelving in the bedroom as well as the shiplap above the fireplace. I could not possibly be more please with this tool. When I am done, I pull the battery out and place it in the charger. The next thing in my toolbox is my cordless drill. 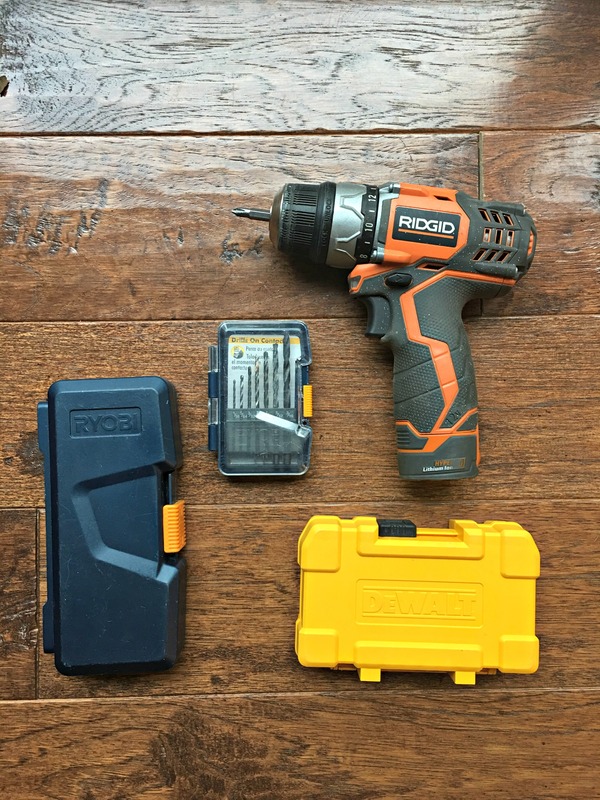 I think everyone needs a good cordless drill, they are so much easier than using a set of screwdrivers which I used to do and it was exhausting! Lately I have been collecting extra drill bits to add to my toolbox as well. 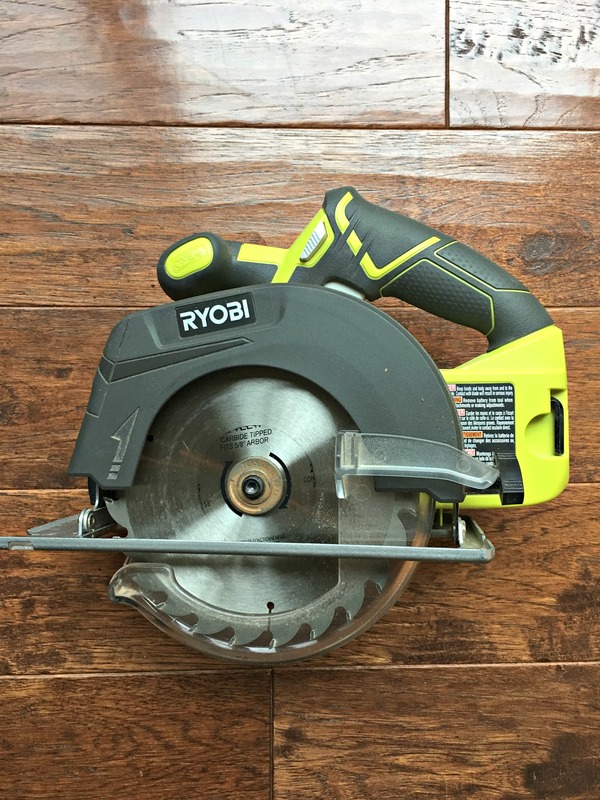 In my toolbox, you will also find the Ryobi cordless circular saw which uses the same battery as my Brad Nailer making it very convenient! I use my circular saw when I need to make a quick cut on a piece of wood and I don’t want to pull out my table saw. In a few weeks, I will share with you my new Christmas sign I made. I used the circular saw to cut my wood down to the perfect size. 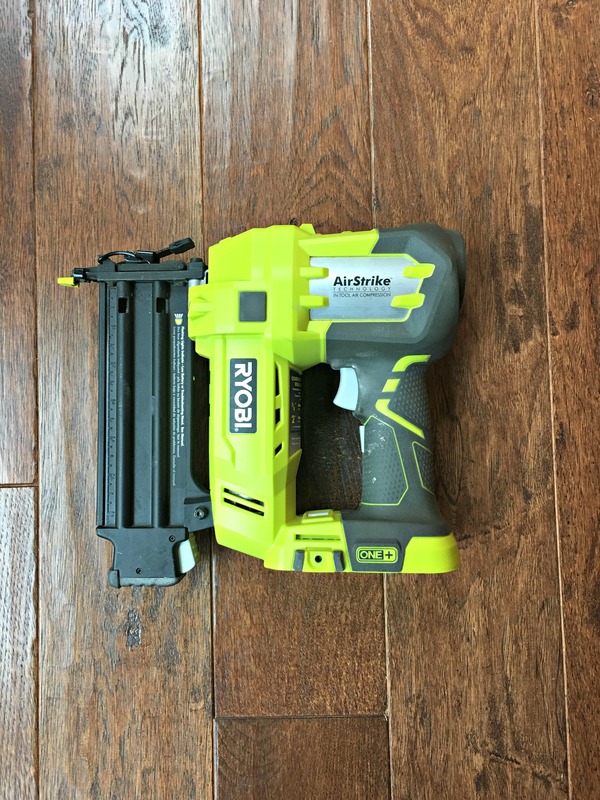 The last tool that I am sharing today would be my hand sander by….I have to say that sanding is one of my least favorite parts of any furniture revamp so having a good sander helps make this process easier and far less tedious! I shared only four of my favorite tools from my toolbox but there are so many other options for gift giving. I like the idea of buying a toolbox and filling it with the essentials. I remember when I moved out into my first apartment, my dad gave me a starter toolbox, I loved that he did that for me. He filled it with a hammer, tape measure, screwdrivers, picture hanging supplies, nails and a few other essentials. My husband did the same thing for our boys. Today, there are so many great options from the little starter toolbox to the rolling stackable toolboxes. 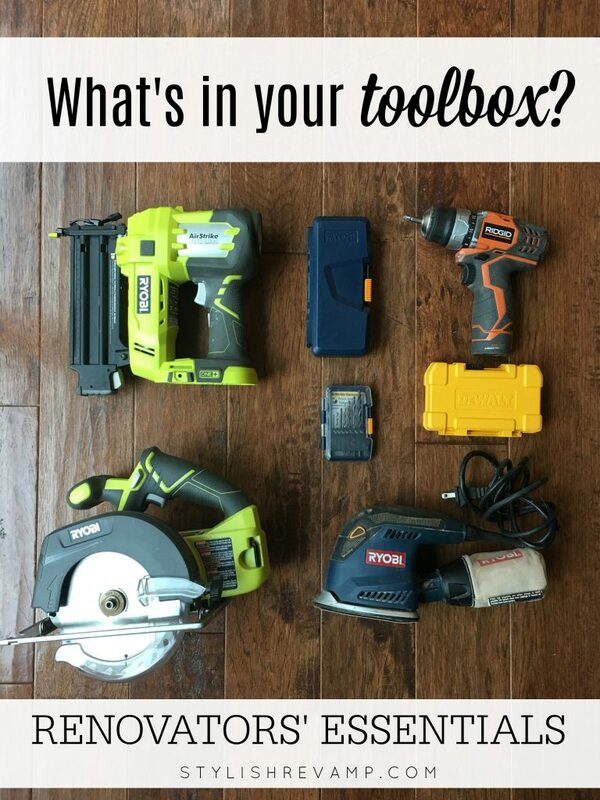 Wayfair has a great selection of toolboxes to choose from if you are just beginning or want a major upgrade. I am obsessing over the pink Steel Toolbox and the Hat Box Tool Box. So cute! Ok so these are just two of my favorites click here and check out the rest. I hope I have given you a few ideas to kick of your Holiday shopping if you haven’t started already. Don’t worry you still have 57 more days until Christmas!